Fries, they’re so simple but there’s no denying they’re pretty amazing. Everybody loves a good plate of fries, so much so we get addicted after the first bite and could hardly stop eating them! Wondering where to get your next fries fix? From the popular spam fries and truffle fries to all kinds of uniquely flavoured fries like pizza fries, we’ve got you covered! Here are some of the best fries in Singapore of all time. 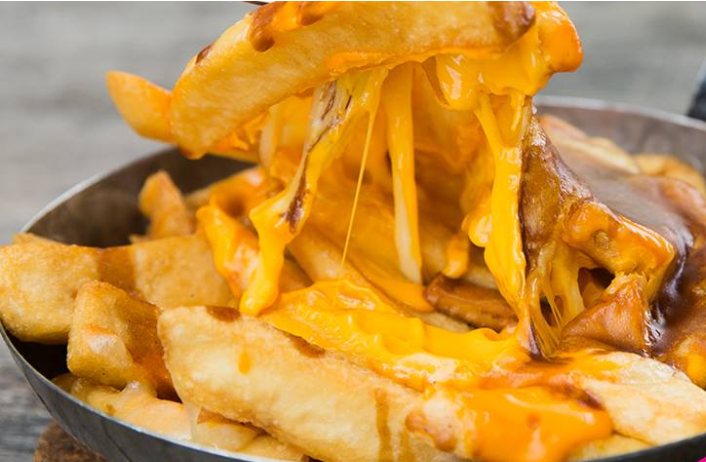 Where to get the best fries in Singapore? Drizzled with aromatic truffle oil and topped with a generous pile of finely-shaved parmesan cheese, these crispy shoestring truffle fries is sure to leave you craving for more! Besides, the serving at PS. Cafe is large enough to be shared among three to four people! PS. Cafe’s truffle fries are one of the most enjoyed sides by many Singaporeans and it would be evident when you step into the restaurant to find the room filled with the aroma of their truffle fries! Every bite into the truffle fries was an intense and pleasant burst of truffle flavour, making this one of the best truffle fries we’ve had in Singapore! It’s a complex process to prepare these truffle fries and it’s amazing how PS. Cafe could get them cooked so consistently every time. It’s no wonder they’re so crispy and boast a one-of-a-kind taste that is earthy yet aromatic at the same time! Can’t decide whether you prefer truffle or sweet potato more? Why not try a combination of both? 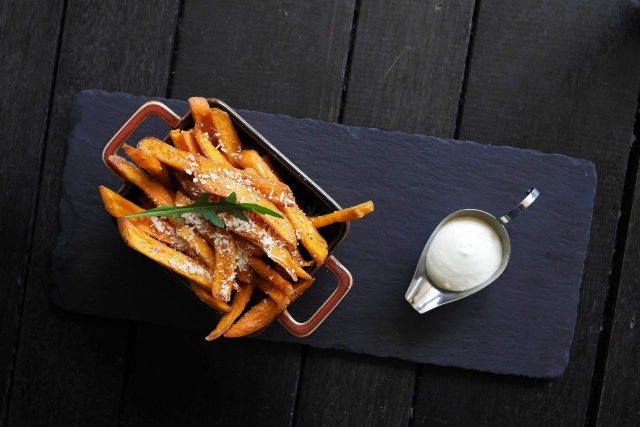 Arteastiq marries the best of both worlds by serving up delicious Truffle Sweet Potato Fries you won’t be able to resist. Just imagine sweet potato fries — tough to perfect — that’s crunchy on the outside and fluffy on the inside. Besides, the extra hint of truffle will enhance the already fantastic dish! You’ll love savouring this plate of happiness! This is one dish you will keep coming back for at Potato Head Folk. Though some say the fries are rather oily and unhealthy, your guilty conscience might approve once you get a taste of the incredibly addictive Naughty Fries! The fries are actually potato slivers drenched in a sauce made of a variety of ingredients such as cheese, beef and chilli. Plus, they’re salty and spicy, making them a perfect match for our Asian taste buds! Though they’re well known for burgers, WOLF Burgers also boasts a wide variety of fries to choose from. Pair your burgers with their savoury fries, freshly made slushies and milkshakes to complete your meal! For those with an adventurous palette, you have to try the Kimchi Cheese Fries! Whipped up with evenly melted cheese and sprinkled with green onions and kimchi, this plate of fries will no doubt satisfy your craving for something Korean and cheesy. It’s another alternative to Wolf Burgers’ savoury fries, we guarantee you will not be disappointed! 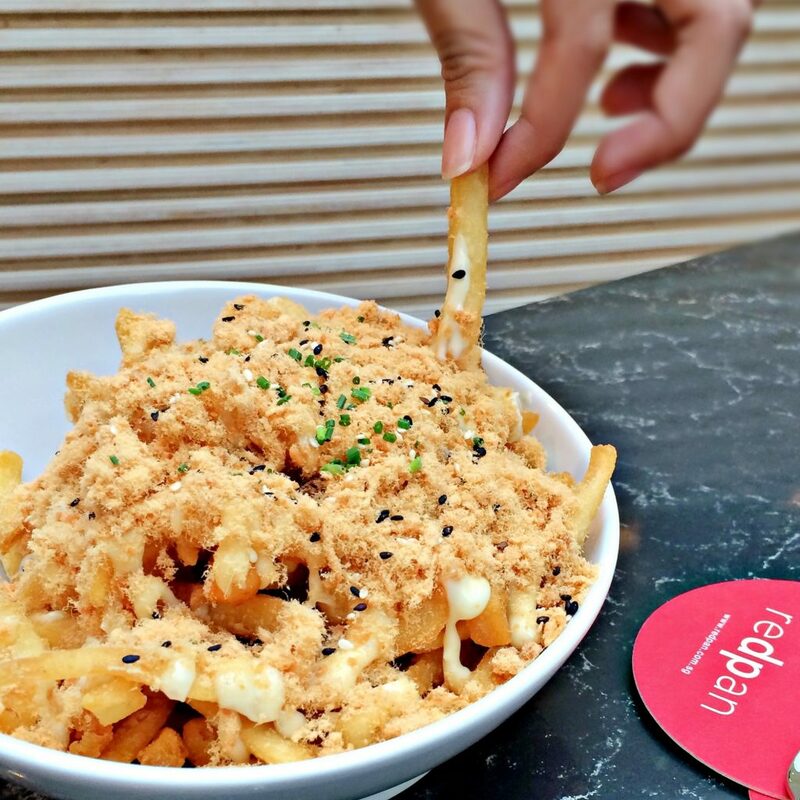 If you’re into Singaporean flavours, you will definitely enjoy this unique Truffle Floss Fries available at Redpan! And for all truffle fries fans, this is perfect for you as there’s truffle aioli that comes with it! This side dish is topped off with chives, truffle aioli and every local’s favourite, chicken floss, along with sweet mayonnaise glazed on top to enhance the flavours. Do you know what’s better than french fries? French fries served with an amazing sauce! Check out these salted egg fries from The Quarters! Featuring a unique salted egg yolk aioli, you can say goodbye to the usual ketchup and chilli as your dip for fries. Drenched in an unsparing serving of the salted egg yolk sauce, it’s a perfect dip for your fries and it’s worth every penny spent! Who would have known that fries could be so much more when served with the right dip? If you’re not a fan of the now-popular, mainstream truffle fries, we’ve got an alternative for you! Check out GRUB’s mentaiko fries, which have become one of their signature dishes of all time. 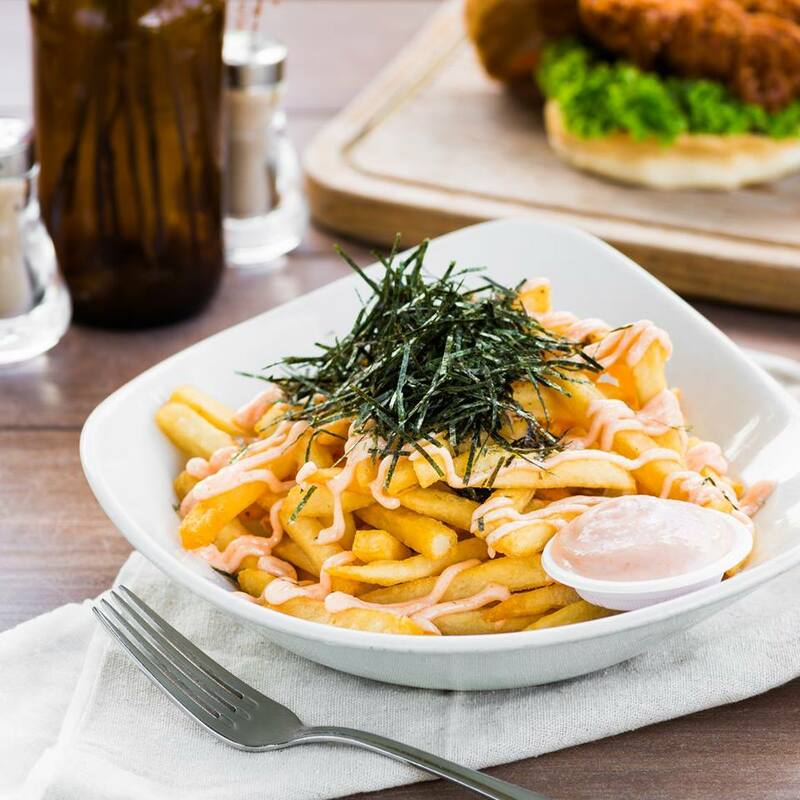 Topped with nori seaweed and drizzled with fishy mentaiko aioli, this plate of shoestring fries has stolen our hearts for being one of the best mentaiko fries in Singapore. We could easily devour the entire plate of fries in minutes because the mentaiko fries are simply too addictive! Best fries in Singapore, you say? Looking for a place to relax and dine in at the same time? Look no further, as Spuds & Aprons is the perfect place to unwind and satisfy your hunger all at once! The restaurant is nestled within the vines and greenery of Mount Faber, boasting a lush and exotic appeal. The golden Wicked Fries & Gravy is one of their best dishes on the menu and we can absolutely see why. The fries are covered with a total of six kinds of cheese and if you fancy a good sauce, you can dip into their savoury brown gravy. The cheesy and salty combination sure makes for a must-try dish! If you’re the kind of person who loves pizza but not the crust, then this plate of goodness is for you! It’s delicious enough on its own with their exquisite melted three-cheese sauce, but you can pair it with the bacon ketchup for an extra kick! Is this pizza or is this fries? We’re not sure, but one thing we’re certain is that it’s a delightful and flavourful appetiser you shouldn’t miss out on! You can have the best of both worlds here! Also, check our their new Chilli Cheeseburger Fries, which is currently winning over consumer hearts, more so than their signature Pizza Fries! What the fries really! They all taste so divine! Last but not least, we recommend Rice & Fries’ Spam Bots! Spam is the brand of canned cooked luncheon meat from the United States. When the meat is sliced into thick strips and deep fried, they become completely crispy on the outside yet soft and moist on the inside. Rice & Fries serves their spam fries accompanied with salted egg yolk dipping sauce and they go surprisingly well together. This dish has been a favourite among consumers for the longest time, so if you have not try this yet, you’re missing out! 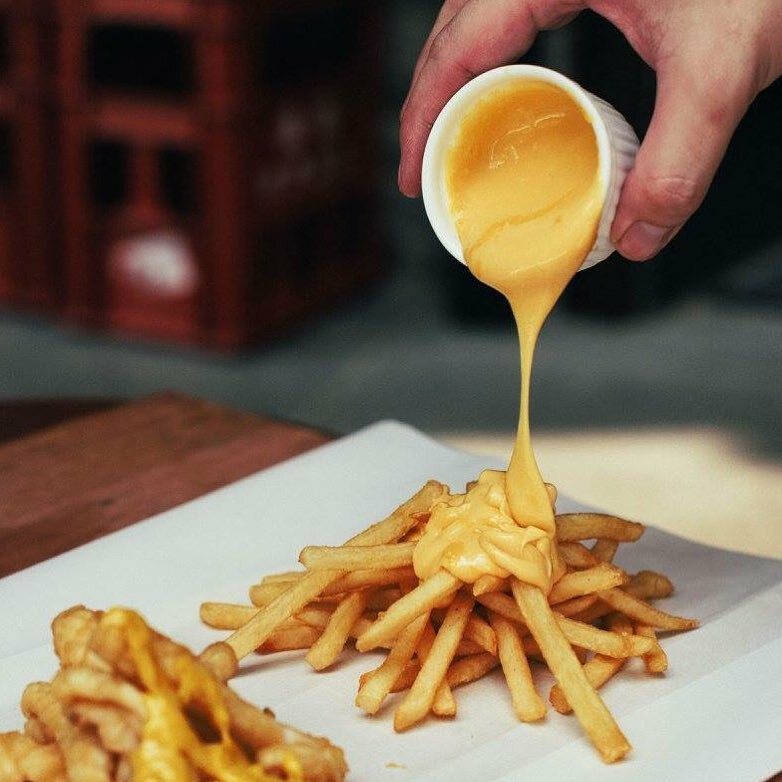 With this guide to the best fries you can find in Singapore, you’re now all set to gather your fries-loving friends and head out for a weekend of devouring various types of fries. If your partner or your friends are not fries lovers, check out our guide for the best burgers in Singapore instead! To complete your meal, we also have a list of the best bingsu places if you’re looking for a sweet dessert after dinner! This article originally appeared on Shopee Singapore.